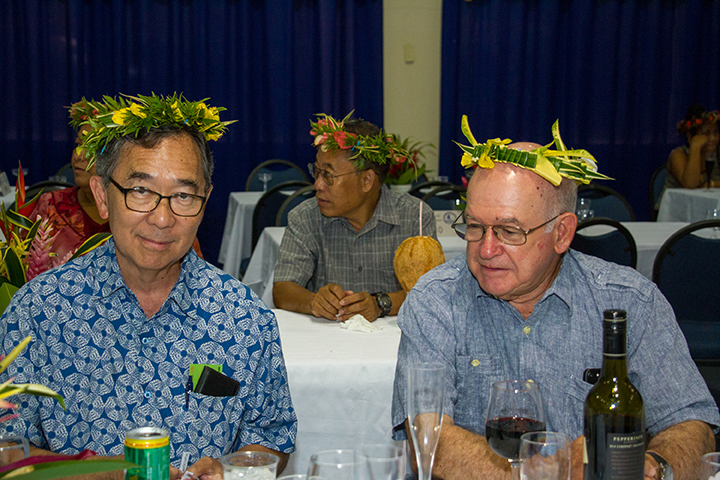 Pohnpei—At least for The Kaselehlie Press, the events surrounding the celebration of the 25th Anniversary of the founding of the College of Micronesia FSM began with a parade around Chamorro Bay in Colonia, Yap on March 30 and culminated with this evening’s gala fundraising dinner at the National Campus in Palikir, Pohnpei. 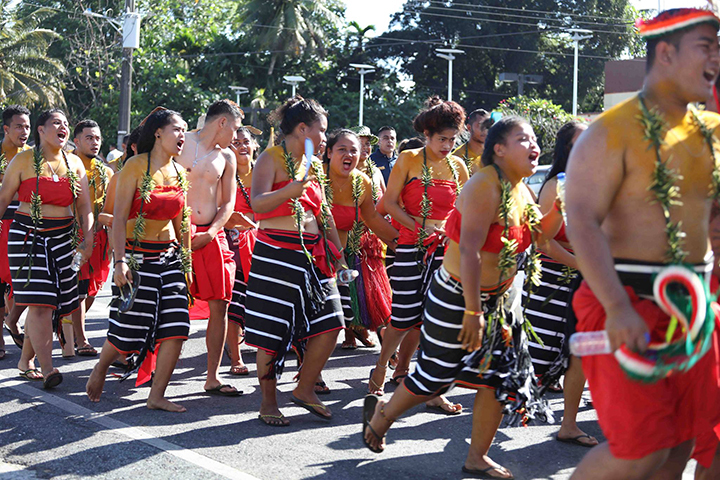 Certainly other events took place in the other two FSM states but The Kaselehlie Press was not able to witness them. 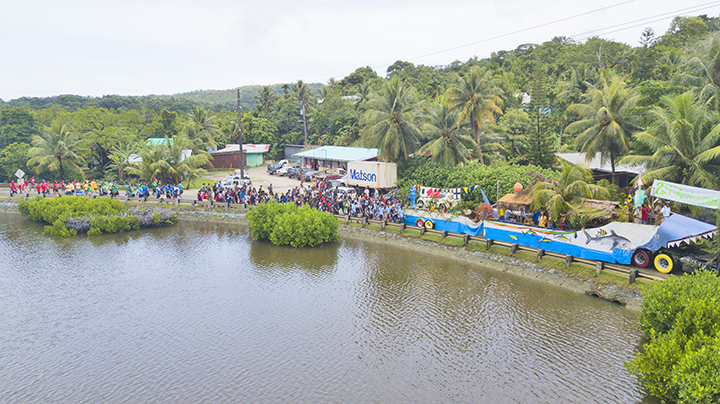 In Yap, the parade was headed by a huge float in the shape of the school’s mascot, the shark followed by sporting events throughout the day. They were pleased to have the amazing “Deep Six” military band from the Pacific Partnership with them as well. 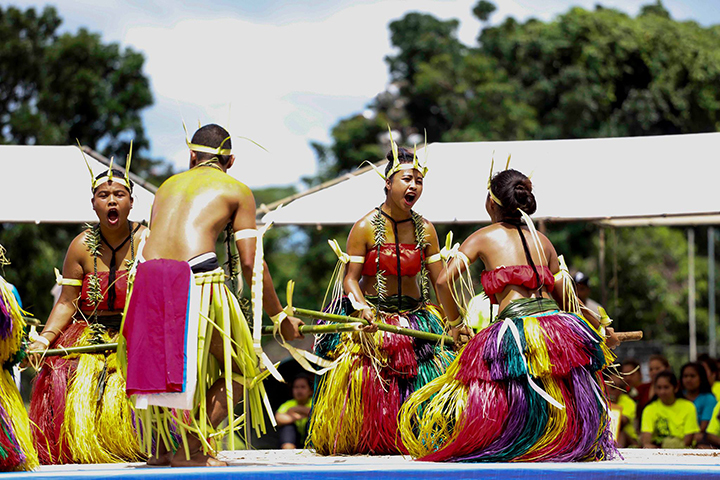 On the following day an all-day event was held with speeches, dancing and prizes on the grounds of Yap’s Living History museum, all of it broadcast live on state radio. 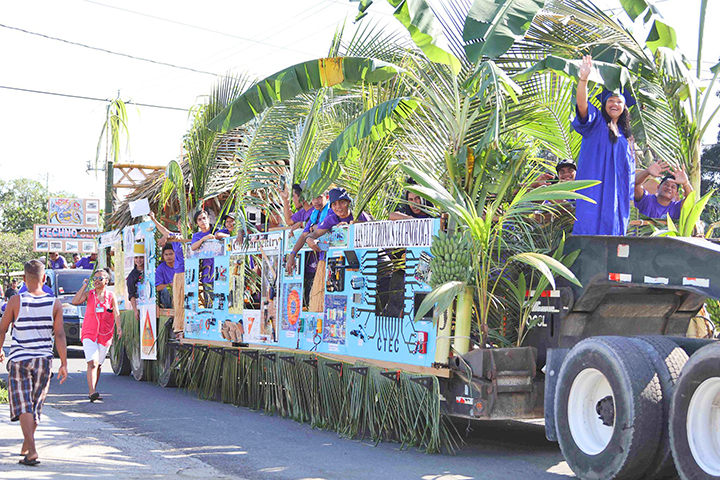 On Monday, April 2, traffic in Kolonia ground to a halt at 9:00 in the morning as students displayed their own cultures and COM pride in a parade through town to the PICS track and field. 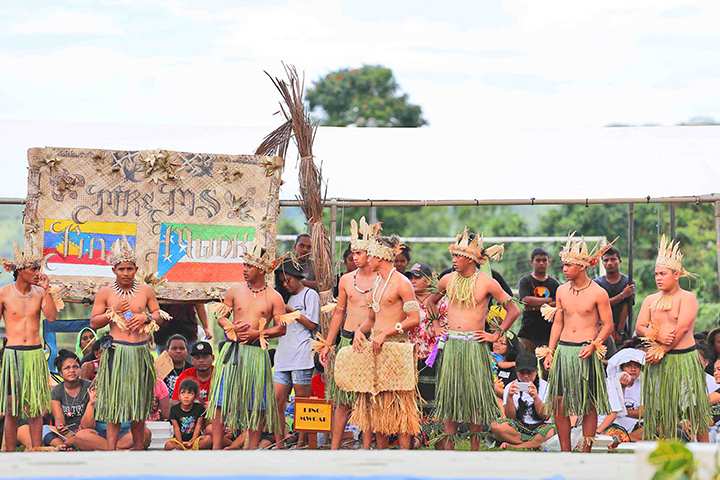 They took part in sporting events there followed by cultural dances from the various student groups as has been a tradition for several years. On Tuesday, Father Fran Hezel, the FSM’s favorite Jesuit Priest and sociologist gave a seminar on the importance of education. Early on Wednesday afternoon, prolific Pacific Islands photographer Floyd Takeuchi spoke to a packed house at MITC. During his presentation he shared his vision to share culture and cultural change through the art of photography. 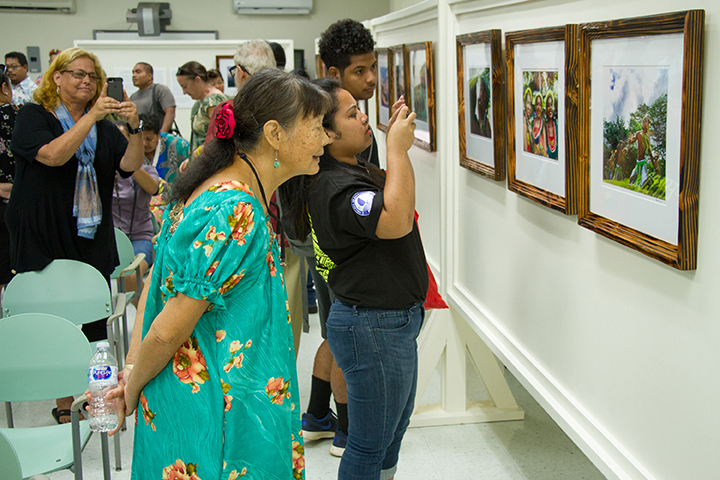 He walked participants through what he was thinking and his intentions when he took photos that are featured in some of his books of Pacific Islands photography. 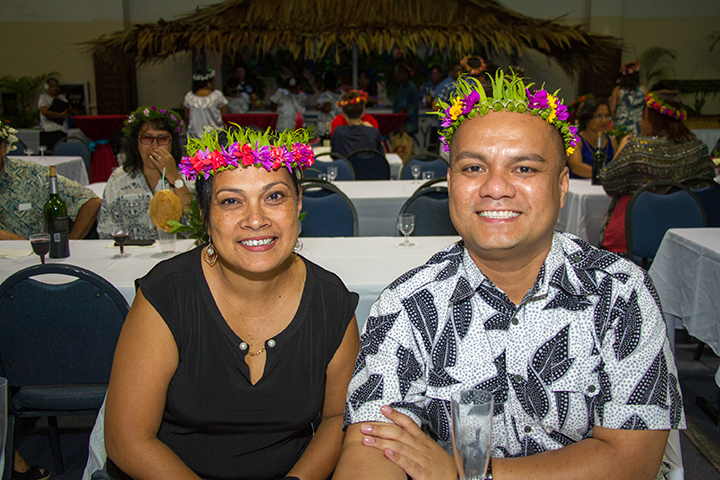 Shortly following his presentation, the first screening of the documentary, “Island Soldier” was shown at Pohnpei Center Cinemas with simultaneous screenings in all three packed theaters. The events of the landmark week for the college culminated with the Gala Fundraising Dinner held in the beautifully decorated practice gym. 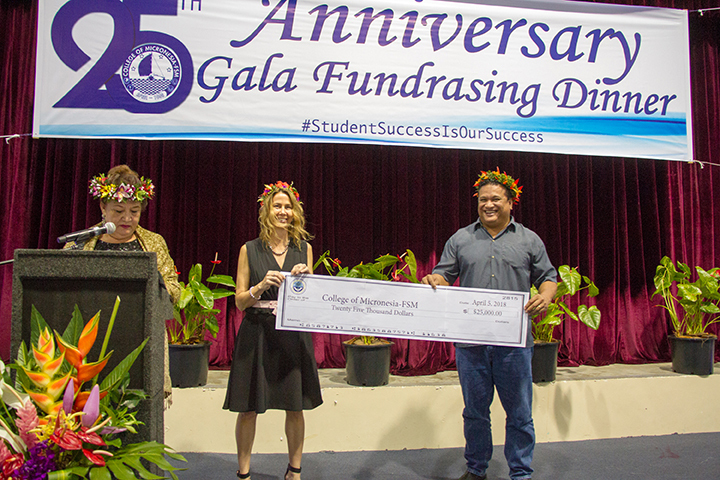 Participants paid $100 each for attendance at the event, both to support the college and also for a chance to win one of four cash prizes up to $1500. The purpose of the event was to celebrate the accomplishments of the college for the people of the FSM and also to raise money for its endowment fund. It accomplished both in fine order. By the end of the evening, donors had smashed COM-FSM’s stated fundraising goal of $500,000 by over $76,000. 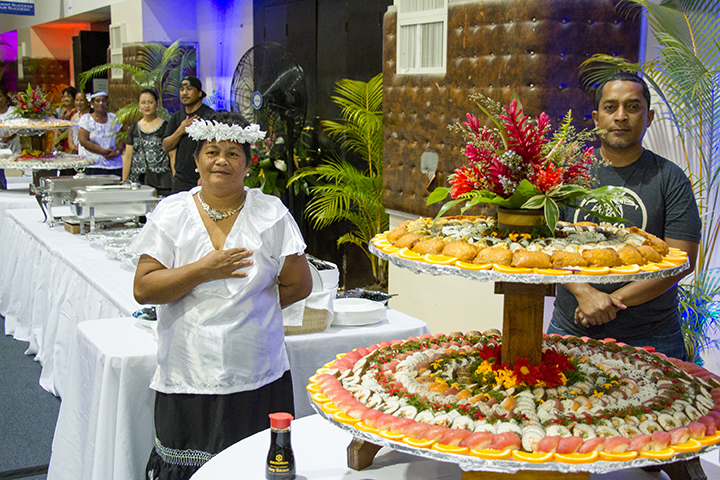 The Embassy of the People’s Republic of China and the Bank of the FSM covered the costs of the excellent meal that was served during the evening. Individual donors provided wine and other amenities for the participants in the event.